The design brief for the Velocity was to build a shoe that offers unrivalled comfort, climbing ability and value. 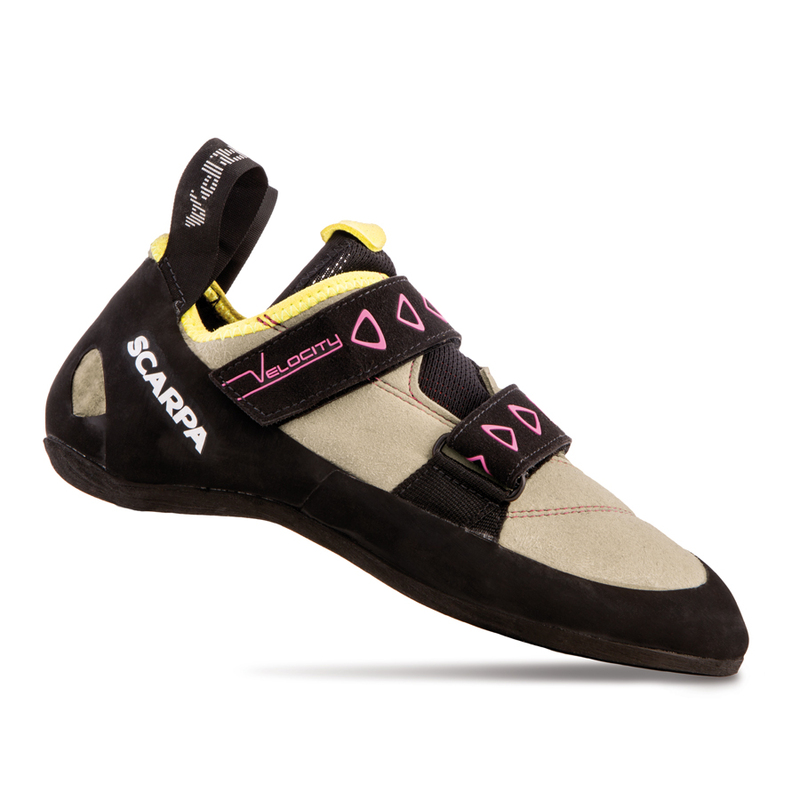 It's safe to say that "Scarpa have nailed it!" The upper is made of a Microfibre synthetic suede which is highly breathable and retains its shape, this means it's more comfortable to wear and makes it easier when buying yourself a new pair. The last that the shoe is built on is the tried and tested FF last which is gently technical allowing the Velocity to suit beginners and more experienced climbers who are after a shoes that offers all day comfort but has enough support, sensitivity and overall good climb-ability for longer routes. These shoes are suitable for indoor climbing, trad, low level sport climbing and bouldering.